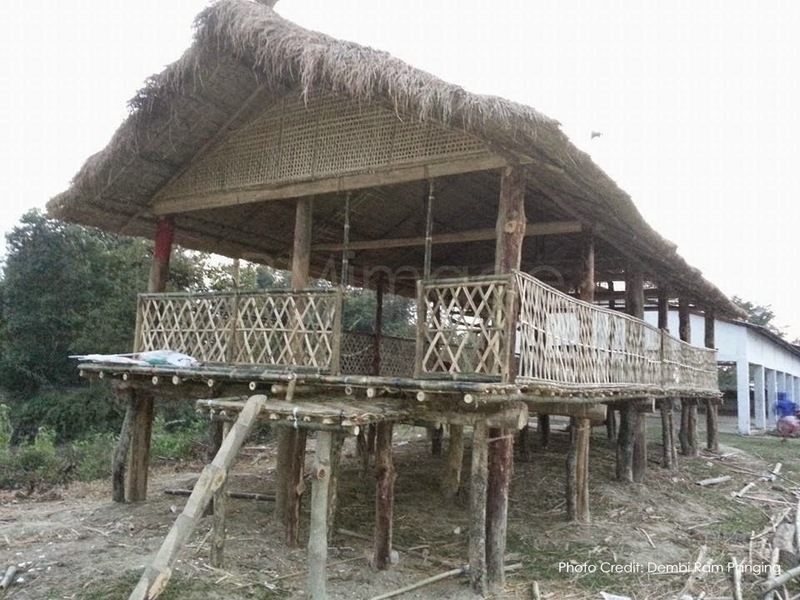 Ligiri Bari Po:rag Celebration Committee, Desangmukh, Sivasagar district is organizing “Po:rag Festival” – a traditional festival of Mising aboriginal tribes of Assam from 23rd, 24th and 25th January 2015 at Umoliya Panging Khetra. 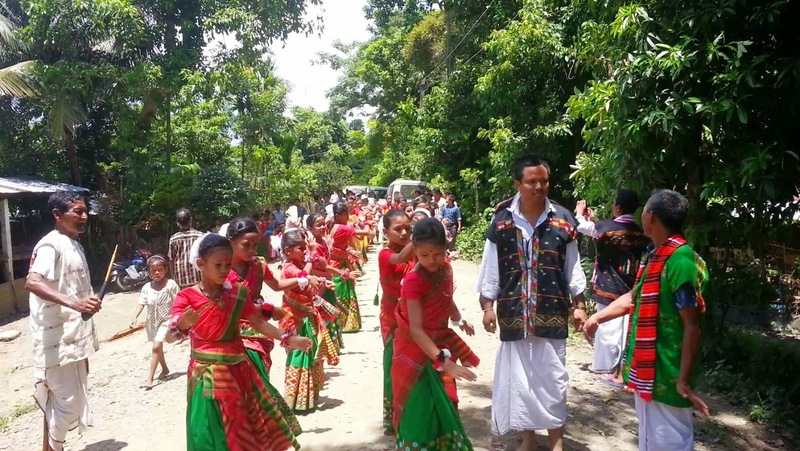 The festival is used to celebrate in a gap of 10 to 15 years where the women married with other villages or any other places are met together with their entire family members and exchange their views and reviews for the betterment of their life. It also exchanges the culture and cordial relation among the different villages. During the three days function, literature and cultural promotions are also taking care. In addition, many mythological traditions will be demonstrated. 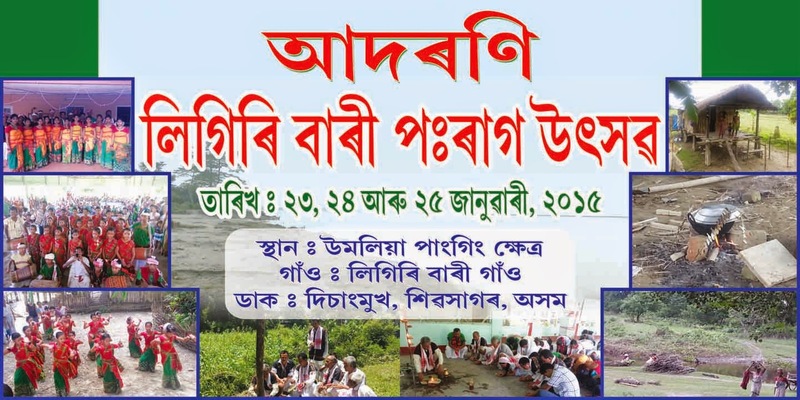 In order to make the programme more colourful and fruitful the organizing committeeis inviting two special Cultural troupes from MajuliSitador Suk Gaon, Gormurh, Majuli and HaluatingKopatoliMisingGaon, Amguri to participate in the programme to develop the cordial relation and cultural exchange of different villages and both the troupes have already given consent to participate in the festival. Shri Dembi Ram Panging, General Secretary of Ligiri Bari Po:ram Celebration Committee (or Ligiri Bari Po:ragBorigKebang) has informed that they areexpectingactive participation of about 20,000 (Twenty thousand) people in three days of the festival,while President of the celebration committee ShriKemlal Panging has stated that the main post of the traditional MurongGhar was established by the villagers on 24th November, 2014. Making a mark of the festival the committee is going to publish a Souvenir titled as ‘LIGIRIBARI’. The celebration committee invites to all for joyful participation in the festival and appeals for cordial support and cooperation in making the celebration a grand success.